Lawmakers negotiate a deal that could prevent a second partial government shutdown. WASHINGTON — A bipartisan group of lawmakers announced late Monday night that they had reached an agreement “in principle” on a border security funding deal that would prevent a government shutdown Friday. 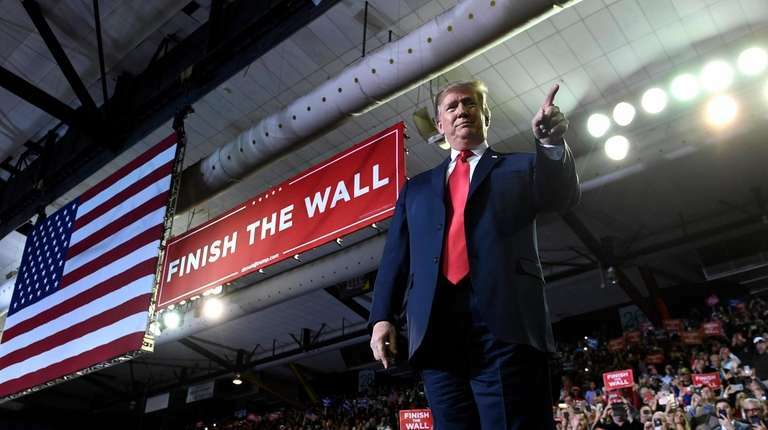 The lawmakers emerged from a series of closed-door negotiations on Capitol Hill, just before President Donald Trump took the stage at a rally in El Paso, Texas, to drum up support for his $5.7 billion demand for a wall along the United States and Mexico border. Republicans were desperate to avoid another bruising shutdown. They tentatively agreed to far less money for Trump’s border wall than the White House’s wish list, settling for a figure of nearly $1.4 billion, according to congressional aides. Lawmakers speaking to reporters on Monday declined to go into detail on the deal, saying the two sides agreed to the new border security proposal, but were still finalizing the legislative language. The bipartisan committee of lawmakers initially entered Monday’s talks attempting to move past an impasse that had derailed negotiations over the weekend. The group had deadlocked over a proposal by Democrats that would in essence limit the number of immigrant deportations by the Trump administration. Democrats initially sought to reduce the number of beds provided to U.S. Immigration and Customs Enforcement to hold immigrants for an extended period of time as they await deportation proceedings from 40,520 to 35,520. A Democratic aide said the proposal was aimed at getting the administration to prioritize the deportation of those immigrants with a criminal record, as opposed to its sweeping deportation efforts that have netted immigrants who have overstayed their visas or who have no other blemishes on their records. Trump and Republicans railed against the proposal, casting it as a public safety threat. 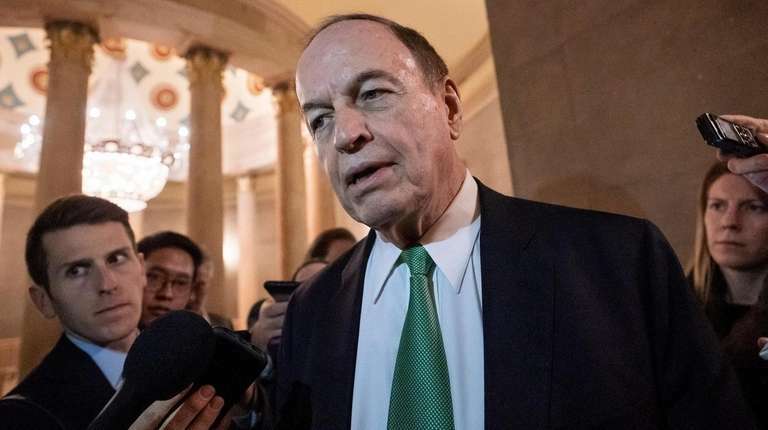 Asked if the agreement reached Monday addressed Democrats’ proposal, Shelby declined to comment, but said he was hopeful Trump would sign off on the deal before funding is set to run out for more than half-dozen federal agencies come Friday. The president has said he would veto any legislation that does not meet his $5.7 billion demand for a border wall, but acting White House Chief of Staff Mick Mulvaney said on Sunday the “most likely outcome” is that Trump would look to other government funding sources to supplement the amount provided by Congress. At the raucous rally inside El Paso County Coliseum, Trump was interrupted multiple times by chants of “Build the Wall!”, as well as by protesters. 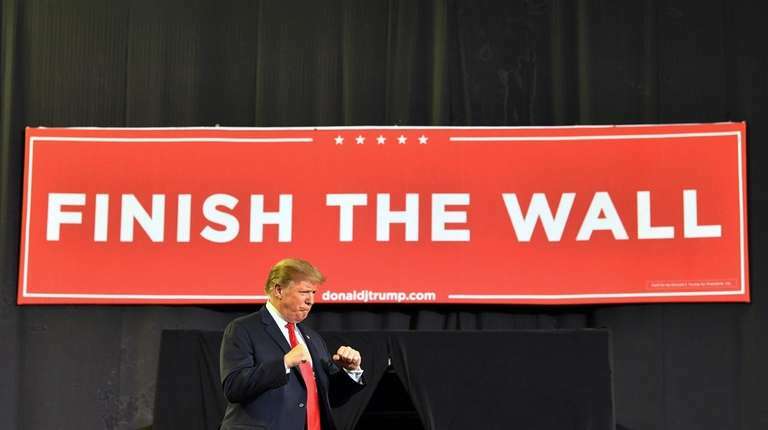 Trump told his supporters to change the chant to “finish the wall” instead. He praised Immigration and Customs Enforcement agents and noted the late-night efforts of lawmakers toward reaching a border deal. “As I was walking up to the stage, they said that progress is being made with this committee,” Trump told the crowd, without weighing in on the specifics of Monday’s deal. 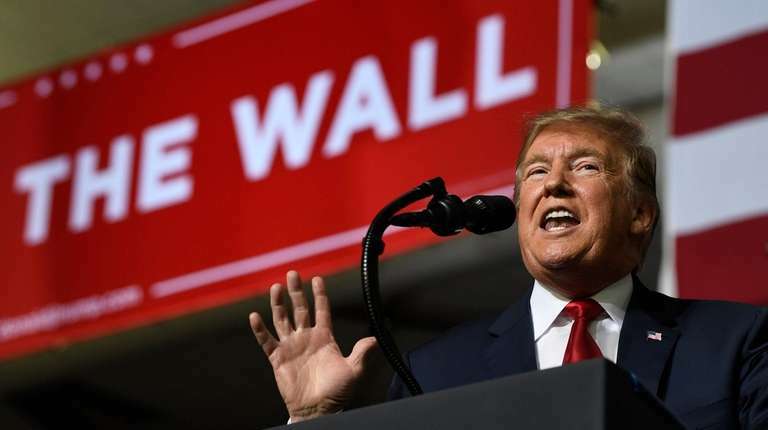 Trump defended the recent 35-day shutdown over his border wall funding request, telling the rally crowd: “If we didn't do that shut down we would not have been able to show this country, these politicians, the world … what the hell is happening with the border. That was an important statement." Lawmakers, speaking to reporters before and after the multiple negotiation sessions on Monday, said they were optimistic they could deliver a deal that would pass Congress by Friday’s deadline. “Let me say very clearly, I don’t think Democrats or Republicans want a shutdown. So, one option or another, we will resolve this,” said Rep. Nita Lowey (D-N.Y.), chairwoman of the House Appropriations Committee. Democrats said the president is misrepresenting their proposal, noting that it focuses on the deportation of those immigrants who have been convicted of crimes. “The Trump [administration] has been tearing communities apart with its cruel immigration policies. A cap on ICE detention beds will force the Trump Admin to prioritize deportation for criminals and people posing real security threats, not law-abiding immigrants contributing to our country,” Rep. Lucille Roybal-Allard (D-Calif.) said on Twitter. “It will be limiting our ability to respond to state and local law enforcement agencies,” Albence said.